The Old Foodie: A gay rugby dinner. 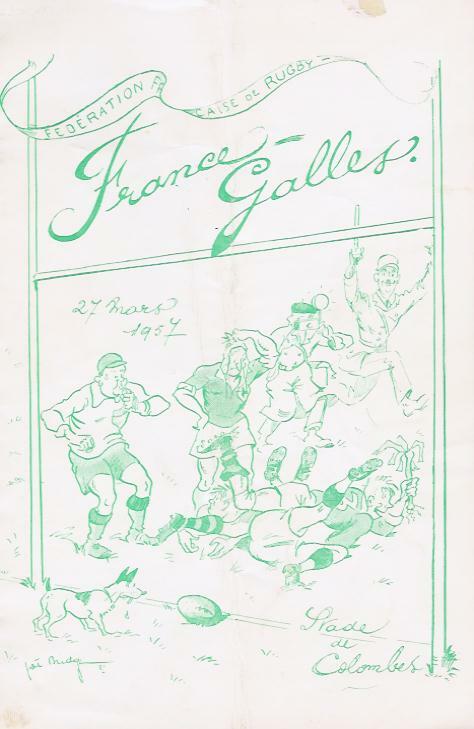 The Welsh rugby team were entertained at dinner in the Hotel Lutetia in Paris on this day in 1957, during the Five Nations competition. The dinner was as would be expected from such a fine venue, but the actual paper menu has a most unexpected phrase on the reverse. 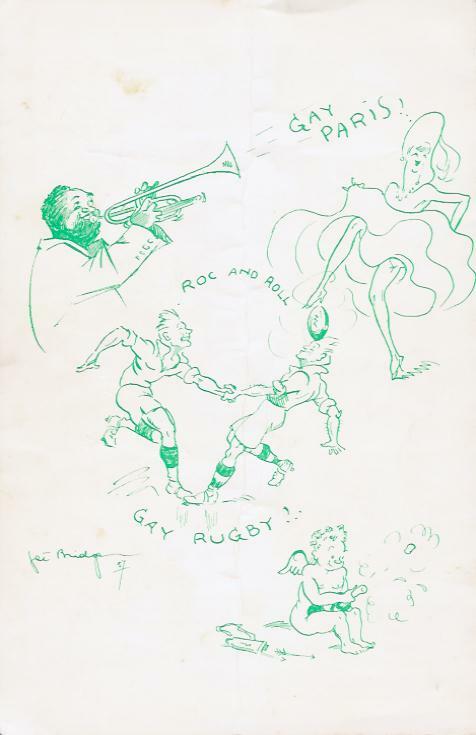 Above a drawing which could conceivably demonstrate two players holding hands, are the words “gay rugby”. It meant that they were “light-hearted, exuberantly cheerful, sportive, merry”? March 27th was also the anniversary of the very first international rugby game in 1871, which took place between England and Scotland in Edinburgh. There is no record of an associated dinner, but surely there was one? Potage à la purée de pois. Warm a lump of butter the size of a walnut, a lump of sugar, a little lemon-peel, and a pinch of salt in a tumblerful of water, let it boil over two or three times; stir in some flour until it becomes a thick paste, and continue stirring until it is cooked, which you can tell, if the paste does not stick to your finger; leave it in the saucepan until cold, then stir in one egg at a time until it is thin enough to drop out of a spoon. Take a dessert spoon and drop lumps of the paste about the size of a walnut into lard which is not quite boiling, take out when swollen to four times their original size and of a golden colour. Sprinkle with sugar and serve hot; they are also nice cold. Tomorrow: Death in the Pot. Your blog is delicious! Consider me a regular around here. Thanks Deborah, I've put you on my email list, but of course you can read the posts here, and check up to see if I have added anything else - I think it might be a quotation of the day next.